Day 81 – The Best of Times…. I can honestly and unabashedly say that today was one of the best days I have had in a very long time and now that it’s drawing to a close, I want another one like it. For just a little while, I got to take a step back into the past, reconnect with some old friends, listen to some of the best tunes ever written and pretend for just a little while that the last twenty years hadn’t flown by in a blur. I’m sitting here trying to figure out exactly what I want to say, because many of the events of the day were spectacularly mundane. We had a good staff meeting followed by me helping the bunch of guys with some computer stuff. I actually started getting all excited and left mid-morning to do the time-warp (as it were). 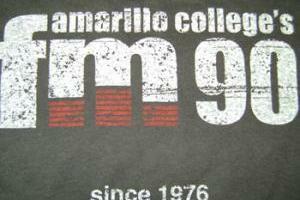 With many others, I helped celebrate FM-90’s 35th birthday. The world of radio has changed dramatically in the past twenty years. Corporations have come in and bought up almost all of the smaller stations around the country. These conglomerates are formulatic and the things we used to get away with would no longer be tolerated. (Of course there were more than a few that really weren’t tolerated then… but that’s another story.) I remembered today how much I loved being a DJ and am seriously contemplating doing one more tour at the Mighty 90 just to see how much the technology has changed and to see if you really can go home again, but I have always felt that behind the mic was home. I’m sure there will be a lot more thought before I make a decision. However great technology is, I dare any of the kids today to put together an entire radio program with a reel to reel, grease pencil, razor blade and splice board. Or to have to cue up vinyl records and pray it wouldn’t skip – or to always keep 42 cents on hand because of skippage… I could go on, but these kids today really do have it easy.